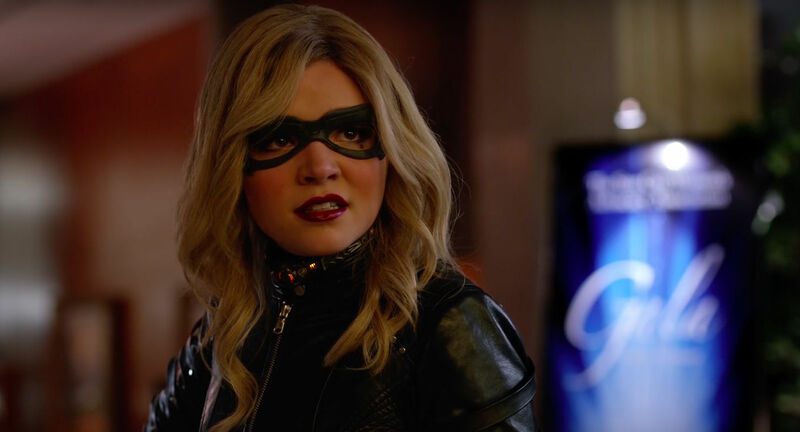 The usurper of the Canary cry and vengeful teen Evelyn Sharp (Madison McLaughlin) will be back on 'Arrow' for season 5 after taking on Black Canary's identity in an episode last season. This time she'll try to make her own way as Artemis joining new vigilantes Wild Dog and Vigilante for this coming season. In the episode titled "Canary Cry," Sharp stole the Canary Cry choker from the soon departed Laurel Lance in the hospital. She blamed the death of her parents on Damian Darhk and Ruve Adams. She lashed out at the Green Arrow for not saving them from Darhk's gas chamber. She was out for revenge but also appeared as a too-aggressive vigilante. Something Ollie and the team will try to tame next season. In the comics, Sharp was the daughter of villains but rose to popularity on the 'Young Justice' animated series where she replaced Roy Harper after his exit and became Green Arrow's sidekick. McLaughlin will begin a multiple-episode run beginning with the second episode of season five. Arrow Season 5 begins Wednesday, Oct. 5 at 8 p.m. on The CW.